Click Here to Return to the Work & Witness page. Haiti, once known as the “Pearl of the Antilles,” is located just 90 minutes flying time from the U.S. The country has a population of more than 8 million and is about the size of the state of Maryland. This means there are about 740 people per square mile. The population of arable land is actually much denser, though, because most of the country is mountainous. Discovered by Columbus in 1492, Haiti’s name comes from an Indian word meaning “high land,” an appropriate title for the hilly landscape. “Haiti,” according to one author, “is one of the places where a farmer can fall out of his cornfield.” After a history of slavery and colonialism, Haiti became the first independent black-led nation in the world. The country occupies the western third of the island of Hispaniola, the other two-thirds belonging to the Spanish-speaking Dominican Republic on the east. The capital city, Port-au-Prince, is on the Caribbean Sea. Other major cities are Cap-Haitian, Port-de-Paix, Gonaives, Les Cayes, and Jeremie. The island lies between Cuba and Puerto Rico. Only 5 percent of Haiti’s forests remain, and the deforestation has caused rapid erosion. Water problems are chronic, and resources such as coffee, cotton, cocoa, rice, and sisal are scarce. Because Haiti sits in the Atlantic hurricane belt, storms have historically wreaked havoc on the tiny nation. 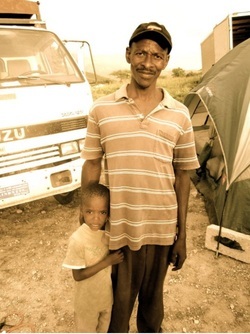 Haitians are a dynamic people who are friendly, self-reliant, and they welcome guests. The crowded, colorful streets of Port-au-Prince is filled with women carrying baskets on their heads, contrast with modern automobiles and cell phones. The United Nations lists Haiti as the poorest country in the Western hemisphere (the average income is about $380 a year), yet Haitians are a hard-working, peace-loving people who are proud of their long history of independence. Most people scratch out a living through agriculture. Only about 50 percent of children have an opportunity to attend school, and as a result, the country’s literacy rate is about 50 percent. Creole, a language based on French, is spoken by all Haitians. French is also an official language of Haiti and is used in official government business as well as many educational institutions. Although Haiti’s official institutional religion is Catholicism, Voodoo is the common religion. For complex reasons, the majority of Haitian Catholics also practice Voodoo, the worship of evil spirits. Roosters, goats, and drums are sacred in Voodoo worship while “Rah Rah’s” (Voodoo street celebrations) are common. But the Light of the Gospel has been shining in Haiti for more than 100 years. The Christian faith is strong, with more than 20 percent of people claiming to be evangelical Christians. Haitian Christians know that Christ is greater than the ruler of darkness and that Christians should never fear Voodoo in any form (1 John 4:4). Evangelical churches are sharing the gospel message of Jesus through evangelism; elementary, secondary, and vocational schools; adult literacy; theological training; and cultural training classes. Missions are involved in medical work such as clinics, dispensaries, hospitals, public health instruction, preventative medicine, nurses’ training, maternity and child care centers, and family planning assistance. Technical work, such as rural rehabilitation and demonstration centers, is also being done. 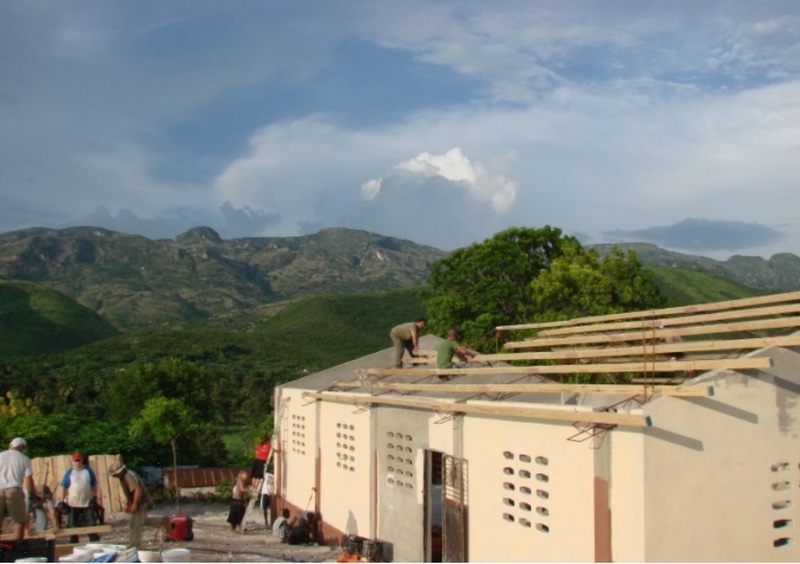 Orphanages, rest homes for the elderly, and community development, and so on are areas of compassion in which the Christian church is actively engaged in Haiti. The Church of the Nazarene began its ministry in Haiti in 1948. In 1945, a law student and school teacher named Carlos Egen was exercising his call to preach. By this time he had two main churches and seven preaching points, with a total membership of 600. Yet he knew that he could not resource this growing holiness ministry, so Egen approached Dr. C. Warren Jones, executive secretary of the Department of Foreign Missions, hoping to unite with the Church of the Nazarene. In the 1948 session of the General Board Meeting, Dr. Hardy Powers brought the motion successfully through voting. Egen’s group was officially recognized, and the Nazarene Church began to subsidize his ministry. By 1950 Haiti had its first missionaries, Rev. and Mrs. Paul Orjala. Their emphasis in ministry quickly focused on developing new church leaders. Rev. Orjala wrote, “Our only hope is going to be in developing a new generation of young people.” To this end they began a Bible school program as soon as they were competent in speaking Kreyol. By 1956, with the addition of missionaries Charles and Alberta Alstott, Nazarenes were beginning to expand their ministry in Haiti. In 1960, the Bible school, now located in Petionville, outside of Port-au-Prince, held its first graduation ceremonies. The third district assembly in that same year marked the first ordination of Haitian elders. During the developing ministry in Haiti, agriculture was introduced as a way to live out the gospel by meeting practical needs, develop revenue for Nazarenes, and influence the dietary quality of the poorest of the poor. In 1973 Charles Morrow and his family moved to Haiti. With a master’s degree in agriculture from Iowa State University, Morrow educated farmers in new techniques, introduced quality seed, and imported top quality livestock. In the decade between 1975-1985, a fundamental shift took place in the missional strategy for Haiti. Efforts began to focus more on church growth and ministerial training than relief and development programs. The fruits of this decision were seen by 1985 when the six Nazarene Haitian districts hosted almost 48,000 members. 11 districts: Each is led by a Haitian district superintendent. Three of the eleven districts are fully autonomous and self-supporting. More than 115,000 Nazarenes and now the largest Evangelical Denomination in Haiti. 600 established churches. All have Haitian pastors. The Haiti Hot Lunch Program provides nutritional support to thousands of children. The Bible College. Dr. Lucien Jean Baptiste, the first Haitian Bible School President, and his excellent staff trains Holiness pastors for ministry in the Haitian context. The Bible College is one of seven schools in Haiti authorized by the Haitian Government to offer the Bachelor of Theology Degree. Medical Facilities: 3 clinics & pharmacies.